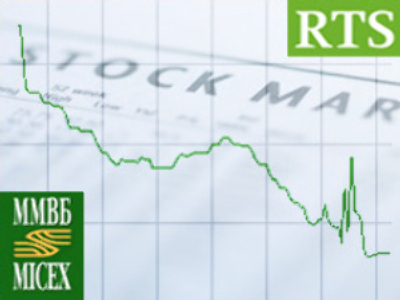 Russia’s major stock exchanges, the RTS and Micex have suspended all trade after a panic driven wave of selling saw the Micex lose more than 16% and the RTS lose more than 11%. After Monday saw the RTS and Micex shed more than 7%, Tuesday trade opened with more of the same. An hour after the opening both indices were a further 4% lower. Around lunchtime they steadied slightly before drifting further into the red to about 6-7% lower in early afternoon trade. In mid-afternoon however the wave of selling picked up pace again forcing both exchanges to suspend trade shortly before 5pm Moscow time. All major blue chips have been hit including Sberbank (down 20% on the Micex), VTB (down 32%), Gazprom (down 14%) Lukoil (down 13%) and Rosneft (down 20%). Further major stocks which have been hammered include RusHydro (down 25%), and MosEnergo (down 21%). On the RTS, Polyus Gold, Uralkal and Sedmoi Kontinent managed minor gains.